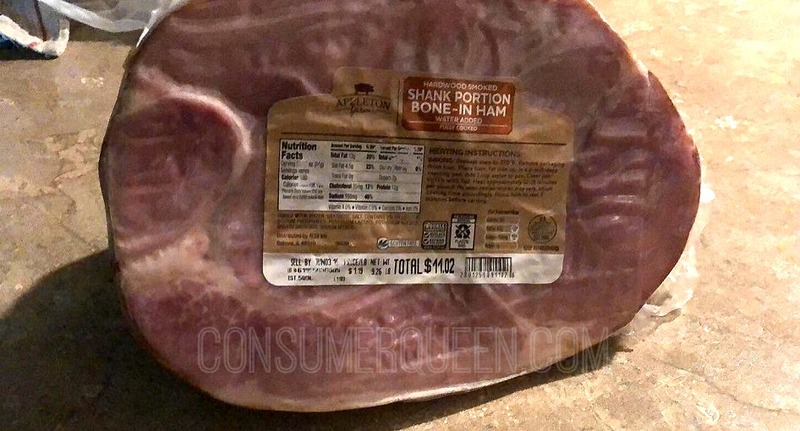 Spiral Sliced Hams 95¢ per Pound at Aldi This Week! This week you can score Appleton Farms spiral sliced hams for only 95¢/lb. in the Oklahoma City and surrounding areas. Other states may have this same deal, check you’re local ad for pricing. 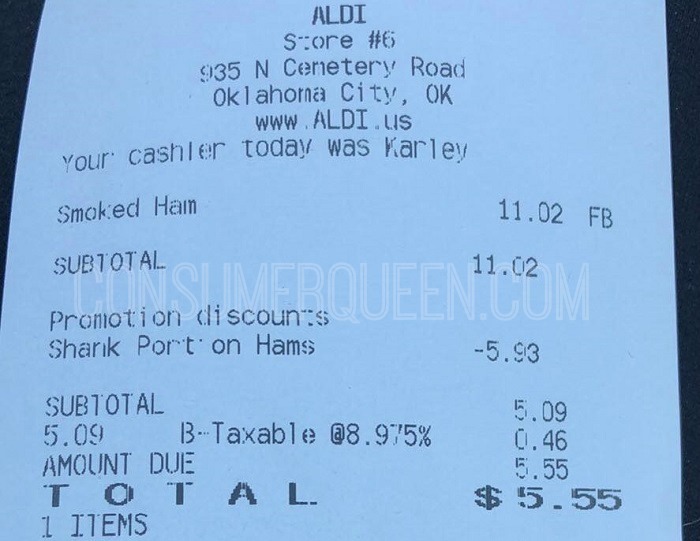 Note, the price on the ham is not what you’ll pay. The discount is taken off at the register. As you can see from the picture, Trelenza’s ham was marked $11.02. At the register $5.93 was deducted from the price and she ended up paying $5.09 + tax! You’ll need a quarter to get a shopping cart but you’ll get it back when the cart is returned. Be sure and bring recycle bags for your groceries. Aldi mainly carries their own brands but does have a few national brand items. Aldi produce prices are usually the best anywhere. I’ve tried many of the Aldi brand items and they are for the most part just as good or better than the national brand.